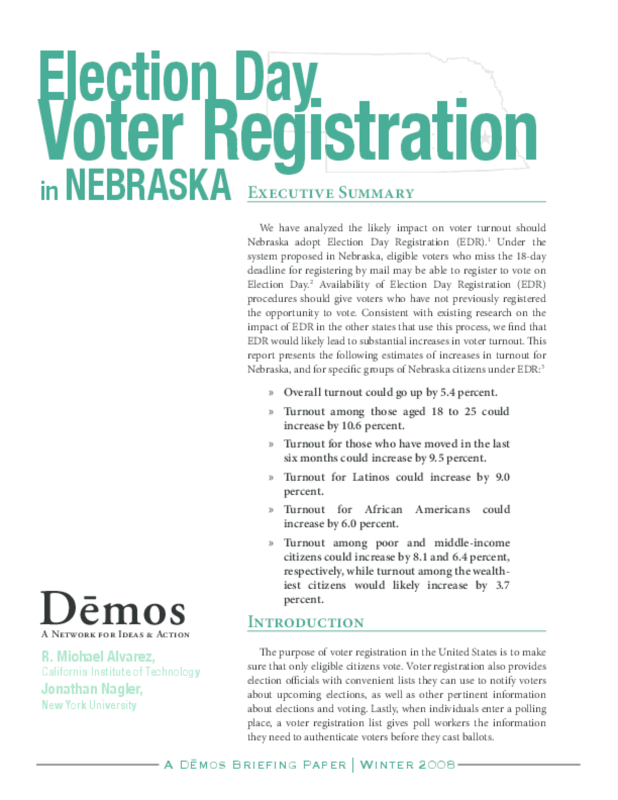 report presents the following estimates of increases in turnout for Nebraska, and for specific groups of Nebraska citizens under EDR. Overall turnout could go up by 5.4 percent. Turnout among those aged 18 to 25 could increase by 10.6 percent. Turnout for those who have moved in the last six months could increase by 9.5 percent. Turnout for African Americans could increase by 6.0 percent. Turnout among poor and middle-income citizens could increase by 8.1 and 6.4 percent, respectively, while turnout among the wealthiest citizens would likely increase by 3.7 percent.